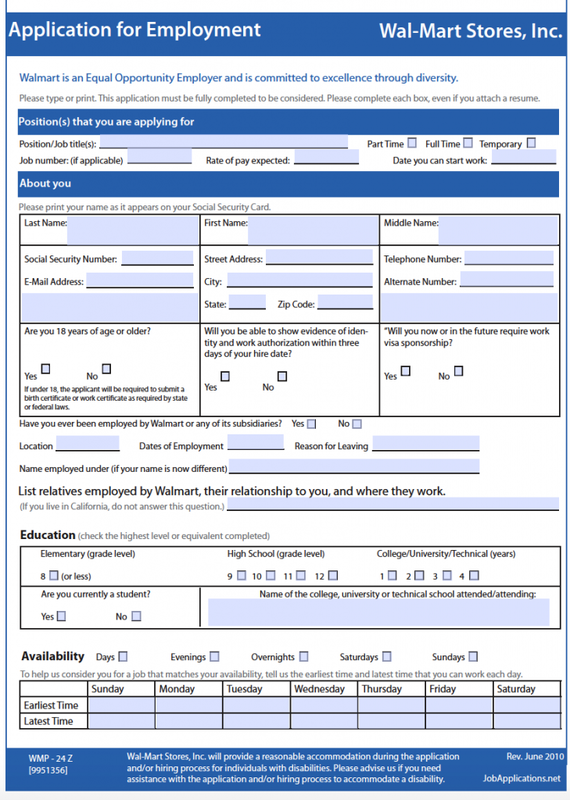 The Walmart job application is the required employment form that must be completed by an applicant interested in being employed by the Company. The form can be submitted either in-store (with the PDF form), or through the online hiring process. It’s recommended to use the online application process, because you can view/apply for several job openings across multiple store locations. Number (#) of Stores – Approximately 6,300 locations located throughout the world. Step 1 – Go to the Walmart Careers site. Step 2 – Agree to the disclaimer. Step 3 – Create a Login and Password (If you already have one you can use the sign-in form to log in to your account). 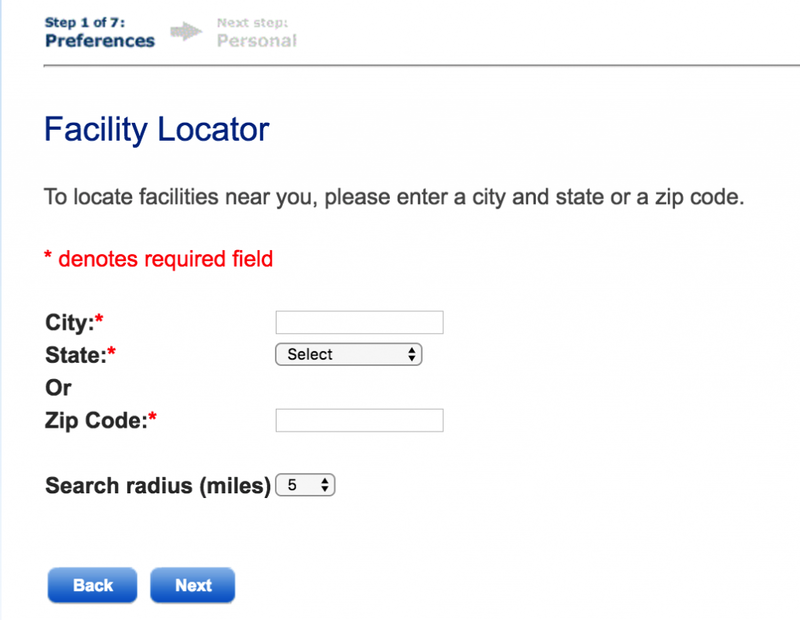 Step 4 – Enter your Social Security Number (SSN). Step 5 – Create a four (4) digit pin. Step 6 – Enter your Gender and Age. 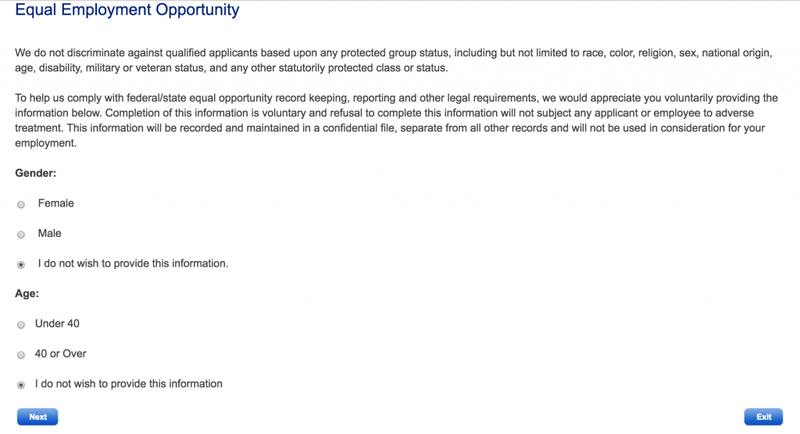 Step 7 – Select your Ethnic Group. Step 8 – Enter the City and State where you are located (or wish to be hired) and click the “Next” button to load the results page.